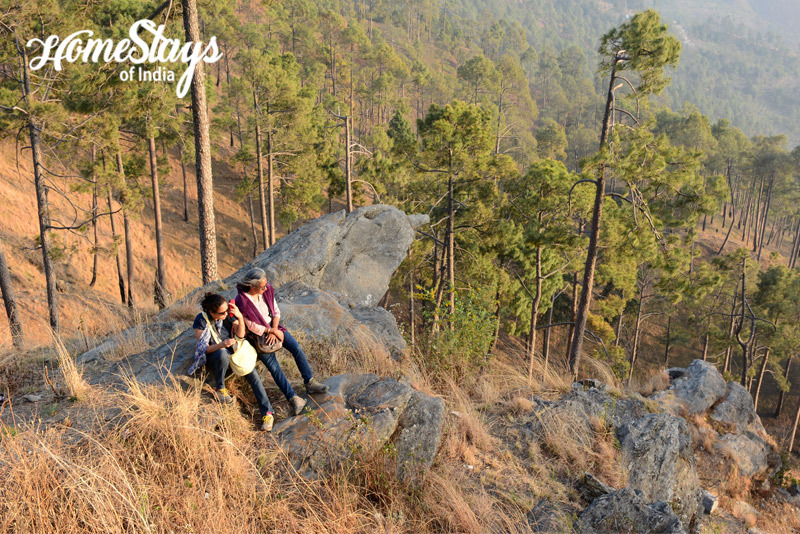 Set along a steep-sided ridge, Almora is the regional capital of Kumaon, a quiet little hill station just 370 km away from Delhi. 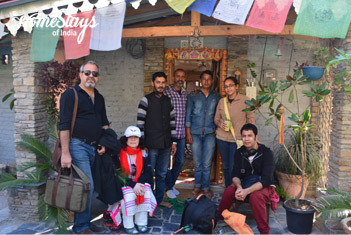 Grand view of the Himalayas, rich cultural heritage, unique handicrafts and local cuisine is what you must visit the place for. 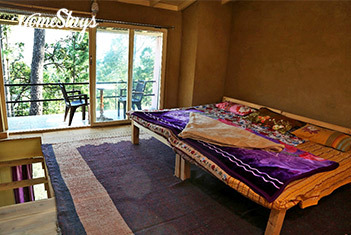 It is ideal for long term stay for bird lovers, artists, writers and those who want to meditate in the quiet. Also perfect for a romantic weekend getaway or for an escape from hectic city life. Kathgodam is the nearest railway station from where it is just 82 km. 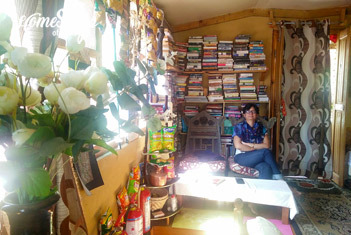 The homestay is located 4 km from Almora on the Binsar road in Paparsali villave. 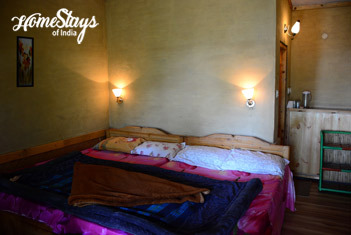 A five minute walk down the valley takes you to the stay which is a charming collection of self-catering cottages located in the beautiful valley of Balta Badi. Set the lap of pine forest it has a cozy living area with low seating arrangement, well stocked library, a TV and a DVD player with large selection of movies, a computer for guest use and a small shop. There is also a large outdoor seating area in the landscaped garden. Various Himalayan peaks of India, Tibet and Nepal can be seen from here. 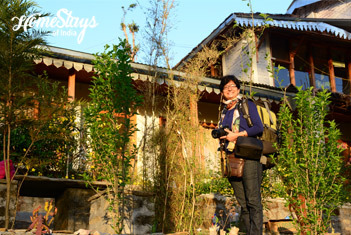 Raju Bisht is young entrepreneur who is completely devoted to bring his village Paparseli on Indian Tourist map. He is a charming, very welcoming person who can go to any length to make your stay a memorable one. He also is a passionate cook and famous for his cakes. Food is big affair at our homestay. Breakfast can be customized with a variety of stuffed Parathas with curd or tea. Butter Toast, Bread Omelet, Poha, Alu Poori etc. can also be served. The highlight is the wide range of fruit jams, chutneys and spreads that you can enjoy with your breakfast. You can relish local cuisine in lunch and dinner, mostly made from the organic vegetables grown in their kitchen garden. Non-veg food is provided on prior demand.